b) something related to our passion for words. Since January, the Quietly Qrew has been volunteering with Writers’ Exchange, and wow, talk about a match made in heaven! 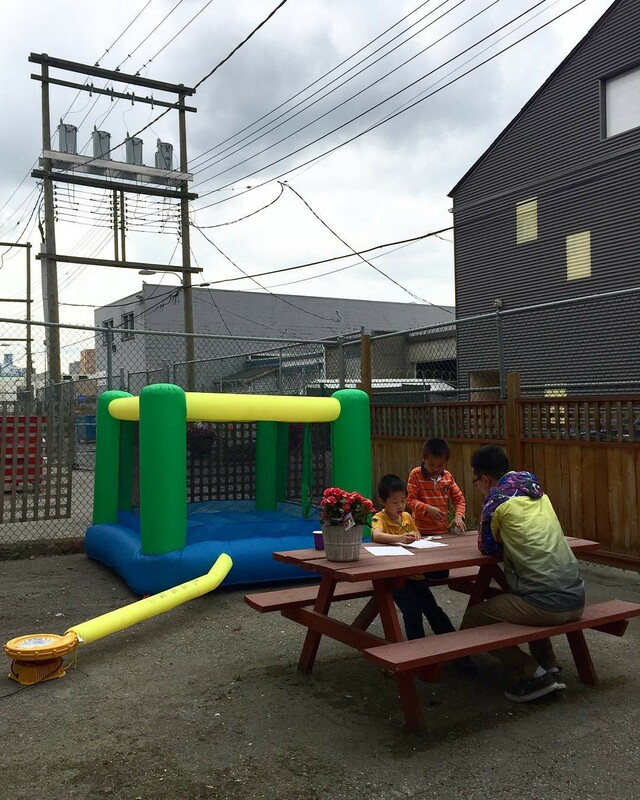 Based in Vancouver’s Downtown Eastside, the organization aims to get inner-city kids excited about reading and writing through free, fun, and creative activities during in-school and after-school literacy programs. At its core, content marketing is about telling stories that make an impact. 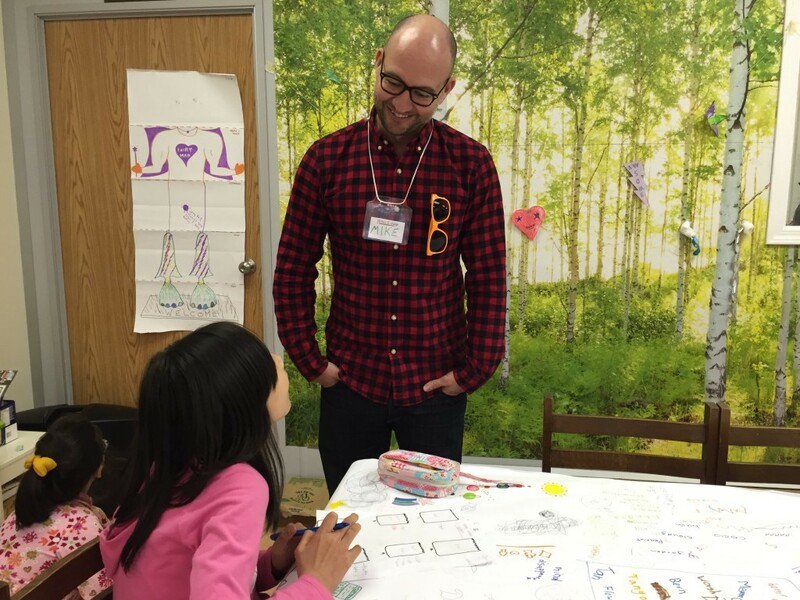 Our team was stoked to dig deep into the ethos of our company’s values and help guide these bright, young storytellers as volunteer literacy mentors. Little did we know how much our efforts of giving back to them would come back to benefit us as a team and as individuals. The majority of the kids involved with Writers’ Exchange do not have an adult at home to help them with improving their reading and writing skills, so having the guidance and support of volunteers makes a huge difference in their lives. Some literacy activities from previous sessions include creating the origin story of a superhero’s superpet and navigating through an owl-themed scavenger hunt. Activities as imaginative and wacky as these break through the barriers that make kids hesitant to engage with learning. As we’ve learned from working with the kids during these past five months, patience, practice, and persistence makes progress, and the growth in the skills and self-esteem of each kid has been amazing to witness. Our involvement with Writers’ Exchange has provided us with a new way to strengthen our cohesion and connection as a team. Every week, two of our team members head over to their HQ to join the band of after-school volunteers in working with the kids on the activity of the day. We mix up our scheduling rotation each term to allow for our staff members to partner up someone new every few weeks, allowing us to bond with each other outside of the workplace. At the end of May, the Quietly Qrew participated in Writers’ Exchange’s Hastings Hole-in-One mini-golf tournament fundraiser as volunteers and as players, adding to the wealth of fond memories we share as a work family. 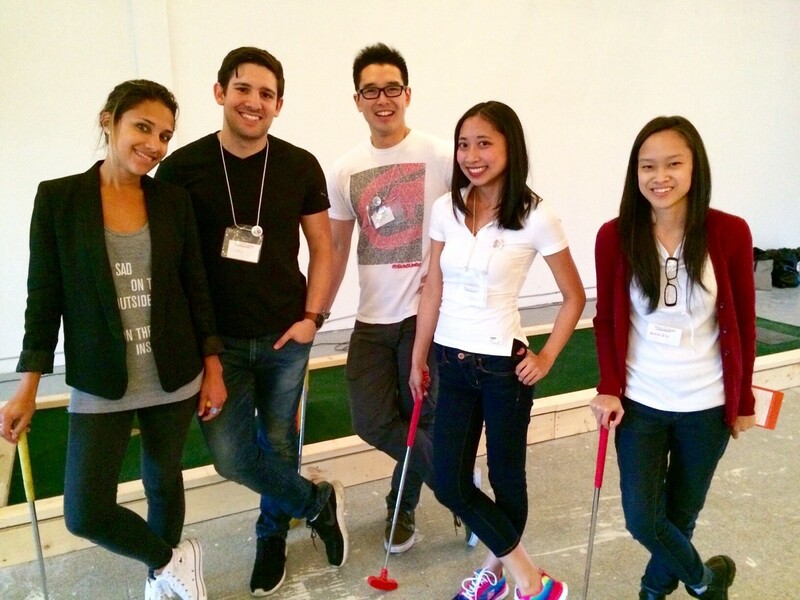 The Quietly Qrew putt-ing it down at Writers’ Exchange’s mini-golf tournament fundraiser! In taking a break from our work routines and office environment, our team is given the valuable opportunity to switch from the hustle and bustle of work mode to kid mode. By interacting with children and seeing the smiles on their faces after spending quality time with them, you’re reminded of what truly matters — the simple joy of living in the moment. As one of our colleague’s reflected after one of her volunteer shifts, appreciating time from a kid’s perspective after a long day at work provides a revitalizing boost to one’s own productivity and mindfulness. Having a chance to collaborate with a mix of like-minded people from different backgrounds and a shared interest in children’s literacy has allowed us to connect with the community and make new friends. From the sweet, patient, and enthusiastic volunteers to the cheerful, witty, and dedicated leadership team behind Writers’ Exchange, we’ve greatly enjoyed building relationships with this group and look up to all of the adults involved in running the WE show as generous, inspiring, and overall fine folks! During Writers’ Exchange’s past winter term and ongoing spring term, our team has been able to devote two hours every Wednesday afternoon to playing, reading, and writing with the kids. Seeing as time is the greatest gift one can give, we at Quietly highly encourage working with the right organization to create a schedule that works for your team. Through WE’s flexibility with incorporating our company’s limited time and resources, we’ve been able to participate in the most incredible volunteering opportunity imaginable, and for that, we cannot thank our good friends enough! 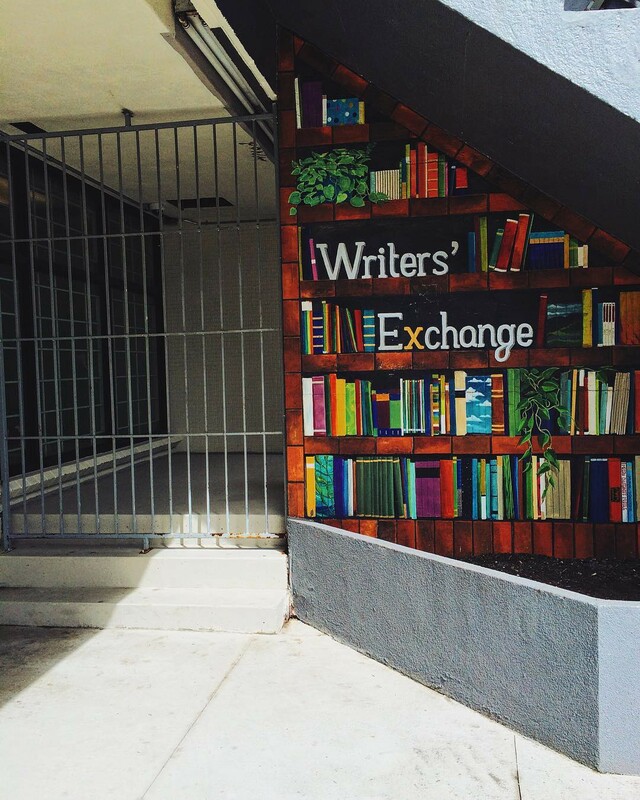 Writers’ Exchange is currently recruiting Literacy Mentors for their summer and fall programs. If you’re interested in getting your company involved in WE’s corporate volunteering program, visit their website for further information. We help brands and publishers create great content. Follow us for insights on content marketing, publishing and more.